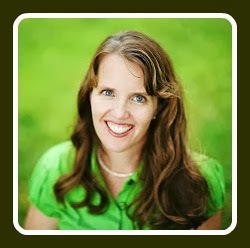 Hi, I'm Kallee From Creative Southern Home and I am excited to be guest posting today. 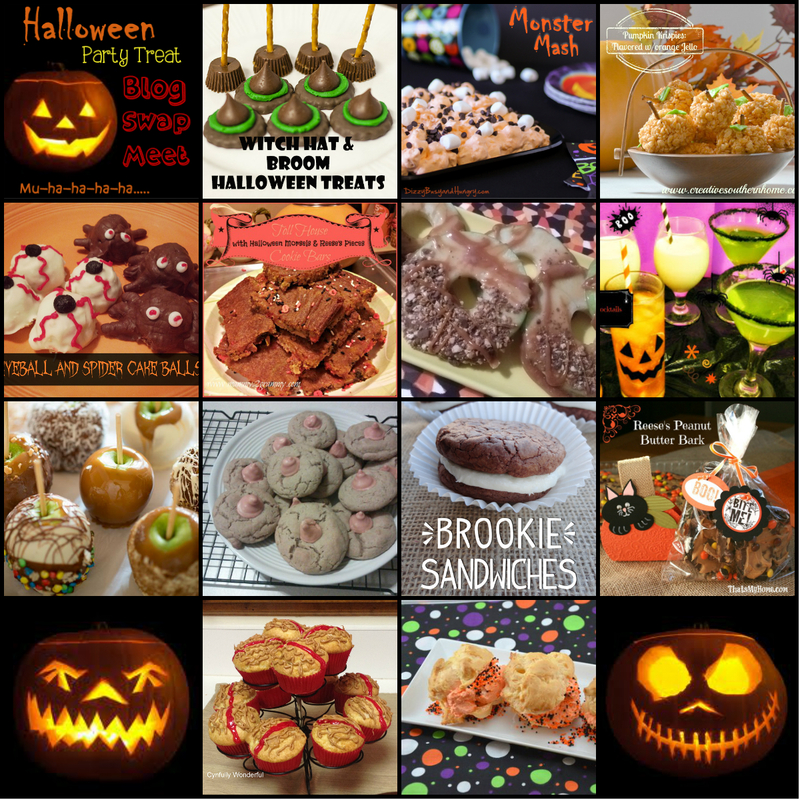 I love to blog about recipes, crafts, DIY, holiday and anything fun to do with my family. Today I am sharing with you a fun treat the kids and I put together just the other day. I have a fun Halloween treat to share with you. 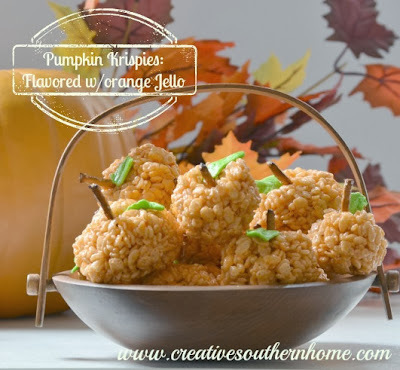 This one is perfect for having the kids help out in the kitchen: Pumpkin Rice Krispies flavored with Orange Jello. Let me just tell you, I LOVE the added flavor. I could not stop eating them! 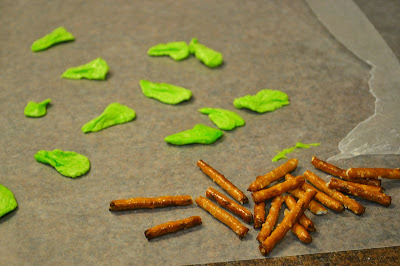 I first prepared my leaves by microwaving my laffy taffy for 10-20 seconds. Just enough to get it soft and pliable. Then I just tore some off and formed leaves with my fingers. Then I had my son break the pretzel sticks in half. 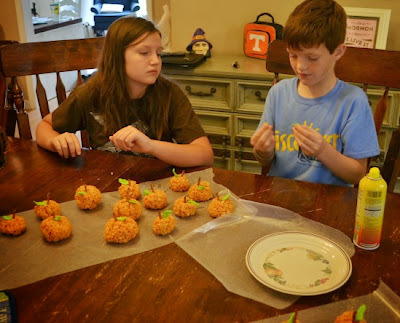 Now you have all your embellishments ready to go before you make your pumpkins. Melt the 3 TBL butter in a large pan. Once it is melted add the marshmallows and stir until they are all melted. Take pan off the heat and add the sugar-free orange Jello. Stir until mixed. 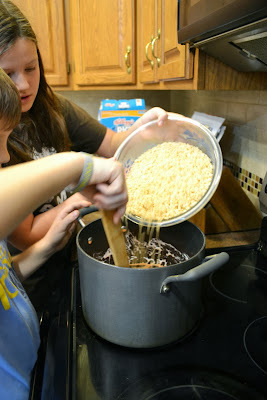 Add the 6 cups Rice Krispies and stir until well combined. 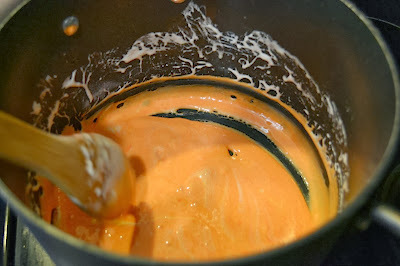 After it has cooled a bit, with greased hands, form the mixture into small pumpkins. Add the stem (pretzel, I think next time I will use pretzel rods for the pumpkin stems) and leaves (laffy taffy) pressing them into the pumpkin while still warm. Set on waxed paper to cool. We had so much fun making them. 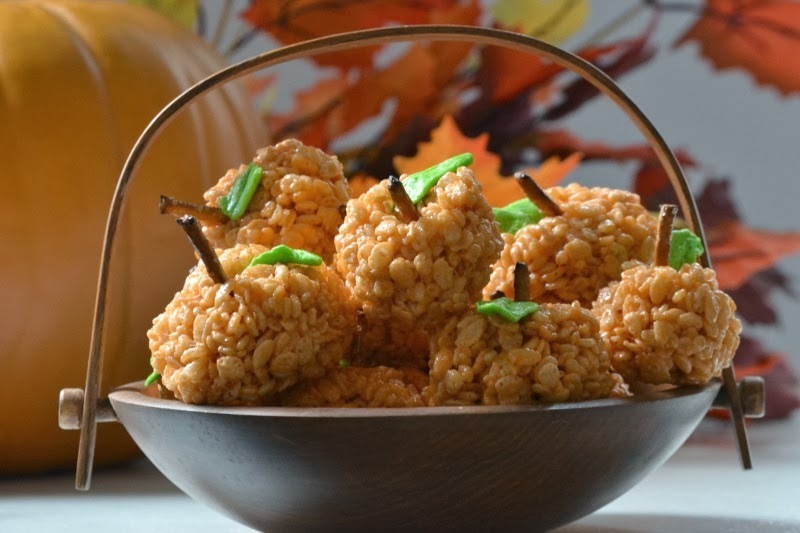 It is an easy treat, that is not too messy, and the kids can really get their hands into it. Didn't they turn out beautifully? I can't believe the kids helped to make these! I always have such bad luck with rice krispies...these look great! Yes kallee and her children did a great job on these! These are so cute. I love them! I am so glad you could participate in our Blog Swap Meet! 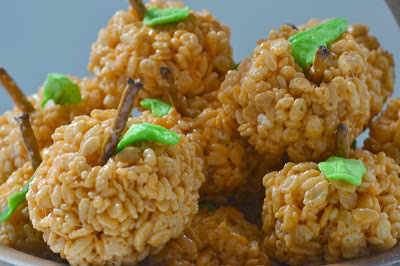 I am heading over to check out your recipe as well! Oh its been great fun! I made these today and they came out amazing!